Tinder is the obvious first choice on our list of the best dating apps. As successful as it is forming long-distance relationships and successful marriages, Tinder has long been accused of changing dating into some form of a hookup game. Still, it’s the king of the dating kingdom for a reason and the first choice for many daters. The FB account is required in order to enable it, and you have to be an adult. After enabling the app, you can set up a concise profile having 500-character bio and up to six images. Tinder has discovery settings that allow other users to find you. You can also set a few preferences regarding who you see and the fun starts thereafter. Tinder shows you a photo, name, and age. Also on holding the photo for a while, you can see additional information regarding the person and Facebook friends. Swipe right (to like), left (to pass), or up to use one of your precious “super likes” are three functions that you can perform on viewing any profile. A popup screen will appear for messaging if you and someone both swiped right on one another. Tinder actually has one of the best user interfaces of any dating app around. The photos are large, the app is — comparatively speaking — svelte, and setting up your profile can be done with just swipe of fingers. Overall, Tinder gets an A for its usability. Also, no one can send unsolicited and vague messages unless you have also expressed an interest in them. Tinder having 50 million users back in late 2014 and hold the crown for being the most popular dating app. The likelihood of matching with someone you’re interested in who doesn’t live super far away is greater than with apps that have fewer users. OkCupid is again one of the best dating apps available today. For OkCupid, you don’t require Facebook to sign up. Just create a username and fill out the profile, which you can also link to your Instagram account. There is a series of questions that you can answer, and a sample reply for your potential match’s answer to be. This creates a percentile score for users that reflects your “compatibility.” You can also choose to make your answers public and importance rating to them. A slide-out menu including all options for accessing the settings and viewing profiles. To browse for someone you like, just tap the “matches” option, which, show the people you could potentially match with. OkCupid also has a “quick match” option, which restricts the results to photos only. You can like people or message them in a similar fashion to Tinder, but messaging increases your probability of matching. You can see who has liked you only if you have upgraded to “A-list” status. OkCupid has many downsides but fewer positive things as well, you can learn a lot about your potential dating partners. The interface is just ok and the photos are a little small. Also, the amount of scrolling required makes it annoying to access. The order may not be the same when you come back to the list or that it will return you to the spot you were previously, making it extremely obnoxious to keep track of profiles you have visited. Most annoying is that you can only see your match if you pay for an upgrade. Another problem is, anyone can message you. And they can message anything to you. Again you pay for an upgrade if you wish to see more than the five most recent visitors to your profile. The FB account verification reduces a percentage of fake accounts and catfishers without it OkCupid loses some points on accountability. 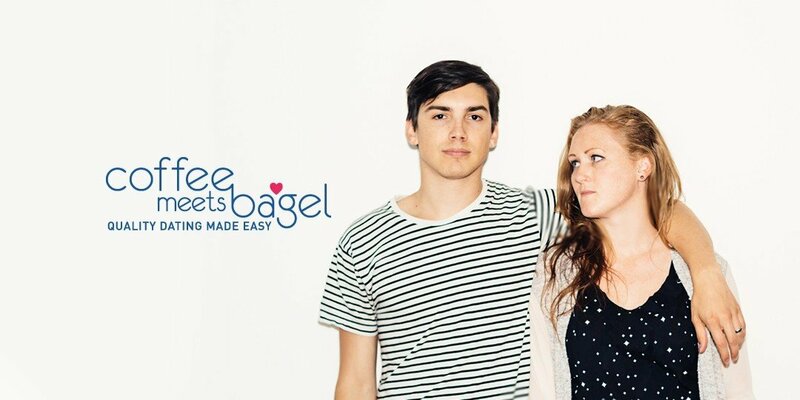 The list of best dating apps is incomplete without Coffee Meets Bagel. Coffee Meets Bagel dwells on Facebook for login. After setting up your profile and your preferences, CMB will send you one “bagel” a day, which is most likely to be a potential match. Within 24 hours you have to decide to “like” or “pass” on your bagel. Hitting like and your bagel and also doing so, you’ll connect, and able to message one another in a private chat. After eight days, the chat room expires regardless of whether you’ve talked with your bagel or not. CMB has “beans” it’s like an in-app currency that can be used to unlock extra app functions. You can purchase them outright, or get them by recommending the app to your friends, or log in on consecutive days. Coffee Meets Bagel has the cutest name of all the dating apps. It narrows your choices to certain religious beliefs or ethnicities, according to your preferences if those things are important to you. To have a much more profuse profile, you can load up to nine photos and can also enter any icebreakers into your profile. For greater convenience, CMB will send one of the icebreakers to a bagel you’ve connected at first messaging. One week expiry time of chat room puts stress on you to exchange phone numbers or meet up in real life else buzz will quietly fade away like bubbles. The interface of the app is a bit glitchy, often resulting in the slow update and load times. It’s often tough to find a perfect bagel and it’s also frustrating to get a single bagel a day. CMB has a “give & take” option that can speed things up a bit, for doing so you have to pay 385 beans. Hinge is actually a lot like Tinder, but with a few things that give it an edge. It connects you through friends of friends of friends, and uplift your chance of meeting through considering all the things you have in common. In order to do so, you need to answer a bunch of questions through a Tinder-like interface. Which makes answering a fun task. Questions asked are not that complex as those in some other dating apps and give you a better idea of one’s psychology. Hinge made its way to the list of best dating apps because most dating apps lack a human touch but in Hinge, if you want to know more about someone, you can always just ask the common friend. Messaging is similar to Tinder. It gives you a guide to what kind of relationship people are looking for, it shows that Hinge carries more of a dating expectation than a just-hooking-up. You’re less likely to run across inappropriate photos because of the friends-of-friends connection. Isn’t it a plus point? There is a restriction to adding photos, you can only add pics from Facebook or Instagram. The friends-of-friends concept has a lot of benefits, but options are limited as well. You may run out of matches after 10 minutes of browsing, which is a drawback if you are enjoying the app or serious about finding a date. Match.com is the granddaddy of all dating apps and is thus, one of the best dating apps today. It was at the top of the dating game long before the service ever released an official mobile app. It doesn’t require to login via Facebook, Just go through a sign-up process, add a few photos, answer some questions about your gender and preferences, and create a username and password.The desktop version of the website needs same Login credentials. You’re going to need a subscription, in order to get the most out of Match.com. The cheapest option currently available will cost around Rs 420 a month for three months. You can see who’s recently looked at your profile and who has liked your pictures, through a premium subscription. It includes a lot of other features as well. There is an option to “wink” someone, it’s similar to flirting and you can also search through the Match.com database to find people to wink at. It will also provide you with personalized matches on a daily basis, which take your interests into consideration. Though Match.com interface is not as easy to use as Tinder, it’s is also pretty sleek and smooth. It has a set of tabs on the display — like “matches,” “search,” “viewed me,” and “mixer” — which used for serving us. Still, Match.com is not an overly complicated app, but it does take a few minutes to get used to. These apps are rated as the best dating apps by their users. So, if you’re seriously looking to find someone special, pick one of these best dating apps and get started!